Cardio Debate > Cardio Notes > Treatment and Prevention > Statins: Friend or Foe? Statins have been shown to lower LDL-cholesterol, as result of which they reduce cardiovascular risk when used for primary prevention and improve clinical outcomes in patients with cardiovascular disease (secondary prevention). (1) It has been estimated that approximately six million people take statins every day. 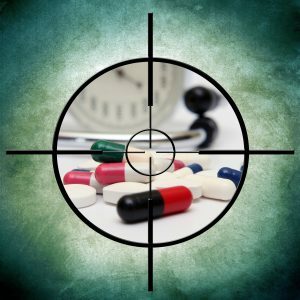 Unfortunately, as has been the case with vaccines over the past few years, statins have been recently portrayed in both medical journals and the wider media as potentially “unsafe” agents. (2-4) As a result of these articles, which have exaggerated the adverse effects of statins, many patients around the world with cardiovascular conditions have stopped taking these pharmacological agents thus risking the development of cardiovascular events. A recent review in The Lancet (5) has tackled the issues of statin safety and efficacy head on with the aim of helping medical practitioners, patients and the public in general, to make informed decisions with regard to the use of statins for primary and secondary prevention. The Lancet article (5), co- authored by several world experts across a range of medical fields – including epidemiology, cardiac metabolic conditions, lipids and clinical medicine – reviews the evidence reported in reliable randomised trials over the past decades regarding the use of statins in primary and secondary prevention of ischaemic heart disease and stroke. Of importance, the authors discuss how “claims that statins commonly cause adverse effects reflect a failure to recognise the limitations of other sources of evidence about the effects of treatment”. The overwhelming majority of large, randomised papers in the medical literature dealing with statin efficacy and safety have shown that these pharmacological agents reduce the risk of major cardiovascular events, including cardiac death, myocardial infarction and coronary revascularisation procedures, as well as strokes. It has been estimated – as reviewed by The Lancet – that “risk reduction is about one-quarter for each mmol/L reduction in LDL cholesterol during each year (after the first) that it continues to be taken”. Hence patient discontinuation of statin treatment in response to ill-informed publications in the media can have a major impact not only on the individuals who develop serious cardiac and vascular events as a result, but also on global health economics. As reviewed in The Lancet (5) “lowering LDL cholesterol by 2 mmol/L (77 mg/dL) with an effective low-cost statin regimen (e.g., atorvastatin 40 mg daily, costing about £2 per month) for 5 years in 10,000 patients would typically prevent major vascular events from occurring in about 1000 patients (ie, 10% absolute benefit) with pre-existing occlusive vascular disease (secondary prevention) and in 500 patients (i.e, 5% absolute benefit) who are at increased risk but have not yet had a vascular event (primary prevention)”. As a result of articles in the media exaggerating the side effects of statins many patients have stopped taking these agents. This is unfortunate as albeit statins can cause adverse events such as muscle pain or weakness in up to about 50–100 patients per 10,000 treated for 5 years, well-designed trials have shown that almost all of the symptomatic adverse events reported by patients represent “misattribution”. Moreover, although muscle pain, early onset diabetes and haemorrhagic stroke can result from the use of statins, side effects such as memory loss, liver disease, erectile dysfunction, kidney damage and cataracts are inaccurate, as reviewed by Collins et al (5). A very serious side effect associated with the use of statins is myopathy which can lead to rhabdomyolysis if the statin treatment is not discontinued promptly. Collins et al (5) say that “typically, treatment of 10 000 patients for 5 years with an effective regimen (e.g., atorvastatin 40 mg daily) would cause about five cases of myopathy”. The adverse impact of these side effects should clearly not be underestimated. However, it is important to take into account that the beneficial effects of statins largely outweigh the negative impact of the most common side effects related to their use. It is worrying that exaggerated claims about side-effect rates with statin therapy may be responsible for its under-use among individuals at increased risk of cardiovascular events. Acute myocardial infarctions and strokes that may occur if statin therapy is stopped unnecessarily can be extremely problematic. The Lancet review (5) is important as it not only provides authoritative and balanced data regarding the efficacy and safety of statins but may also help preventing serious cardiovascular events that may result from the unnecessary discontinuation of statin therapy related to scaremongering campaigns driven by the media. Objective analysis of reliable data and balanced, transparent, reporting of trial results should be the name of the game in order that practicing clinicians and the public can make informed decisions. 27 randomised trials. Lancet 2015; 385: 1397–405. Redberg RF, Katz MH. Healthy men should not take statins. JAMA 2012; 307: 1491–92. Collins R et al. The Lancet 2016- DOI: http://dx.doi.org/10.1016/S0140-6736(16)31357-5.